Pagan Winterfest (x-mas). 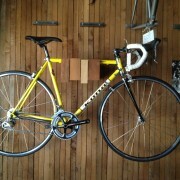 Come buy your Mum a sick NJS track bike. And that means it’s time to start planning your bike camping trips and lake swimming adventures. It also means Super Champion is open 7 days a week again. No more Monday’s closed. We have some fresh Raleigh’s in the shop including Rush Hour fixed/SS for $600 and some freshly arrived Colossi track frames. 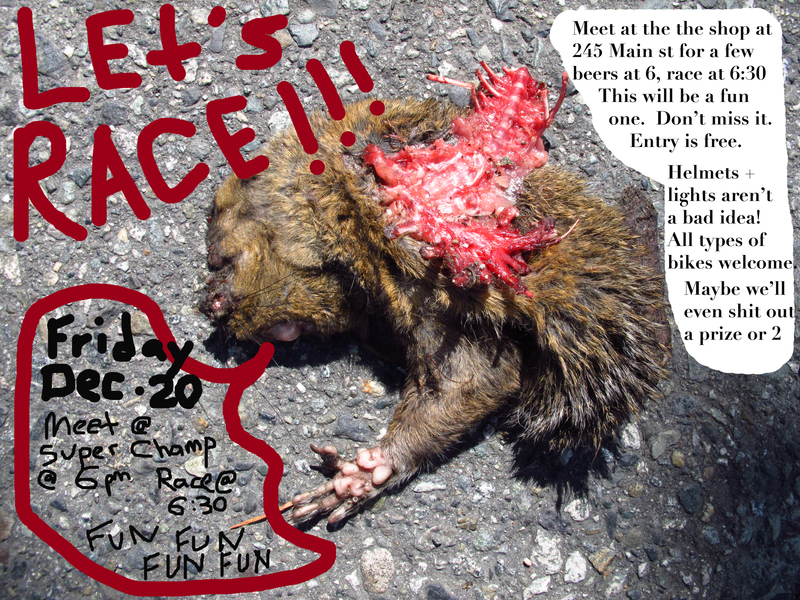 Come visit. 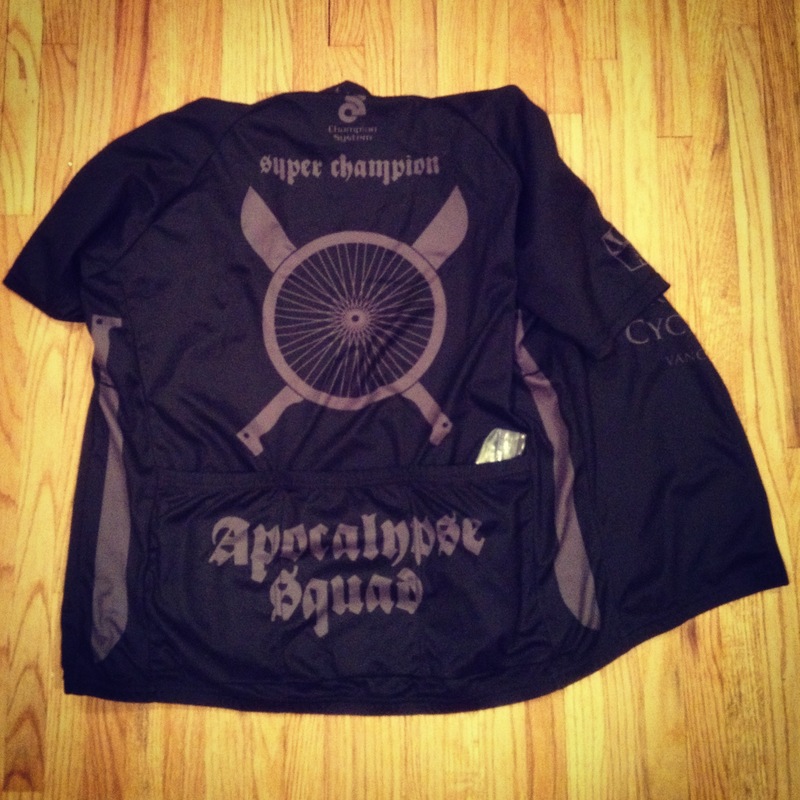 Some Apocalypse Squad jerseys made by Champ Systems have arrived! 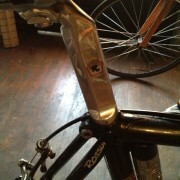 Race cut and club cut available. Designed by the legendary David Galloway. Gray and black. Put out 100% F.O.V. 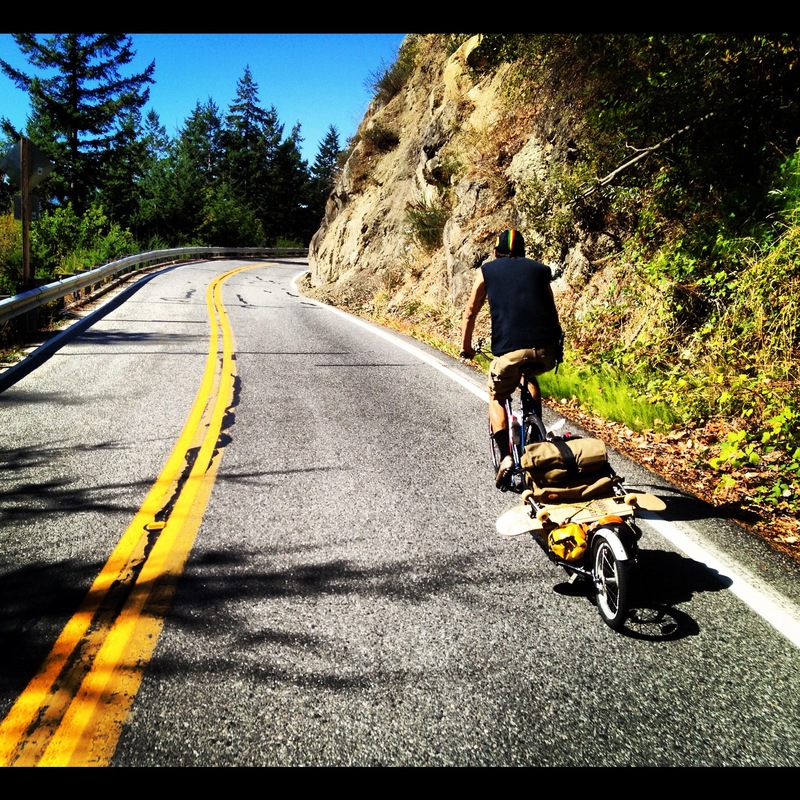 on that next ride. 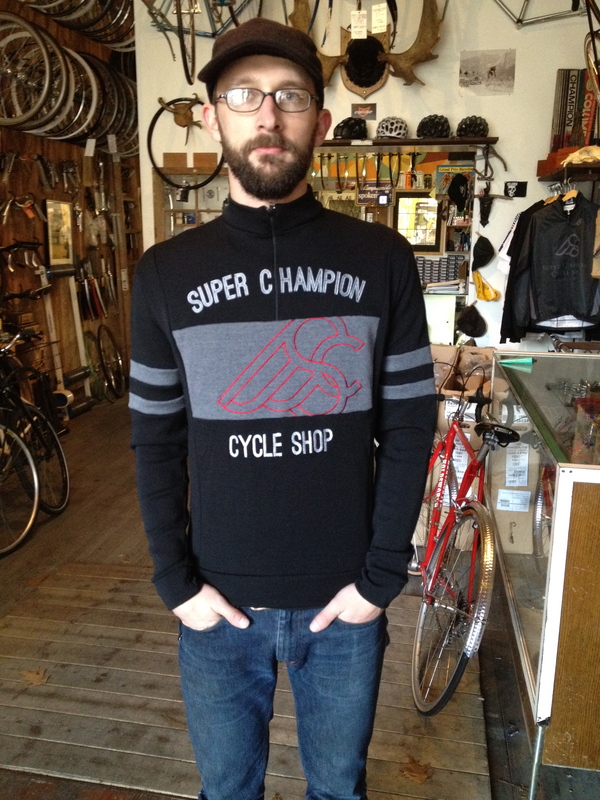 Some wool long sleeve jerseys made locally by the deadly duo at Cima Coppi have shown up. More coming in a few weeks. Woot woot!! Good times! Brave the snow. 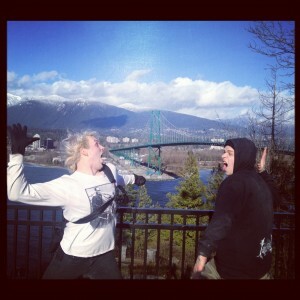 Afterwards bands at Antisocial Sk8shop. Slow Learners and A Rock Band Called Time. 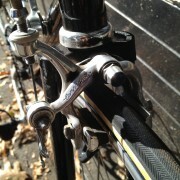 New Cima Coppi caps! Some with winter ear flaps! 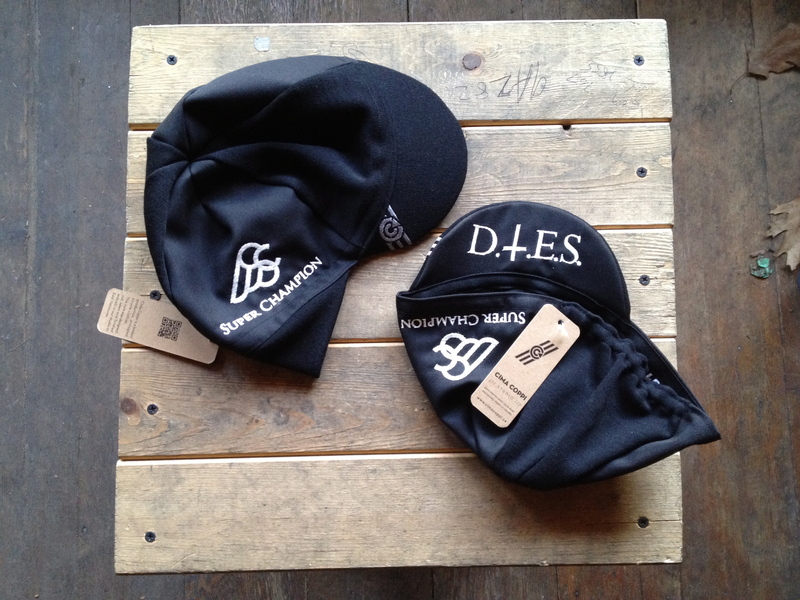 The deadly duo at Cima Coppi down the road have made us up another batch of wool caps and this time around there are a few for this cold weather with ear flaps. Come grab one and keep your earsies toasty warm. 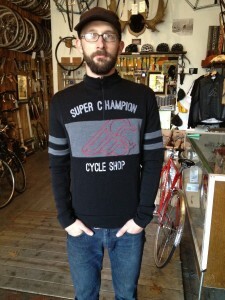 They’ve also made us up a sample of the new wool Super Champion jerseys and it is looking rad. Hopefully we’ll have some soon! 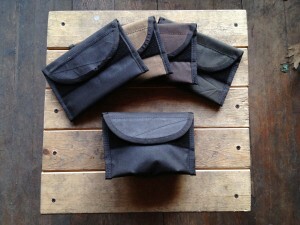 Kassy kills it again with some oilskin hip pouches. Lined with heavy duty waterproof liner. Lock slides down the back. Thanks Kassy. She also does awesome custom made stuff. She just made our friend an insane leather motorcycle jacket that will blow your mind. Her gig is called Old Fashioned Standards. Look her up. Oh yeah, she also skates better than all of you and is a boxer. Hard as nails. Go Kassy! 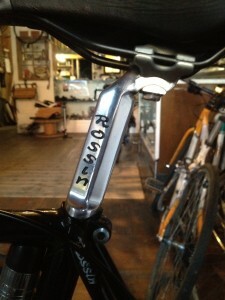 De Rosa project in the works! 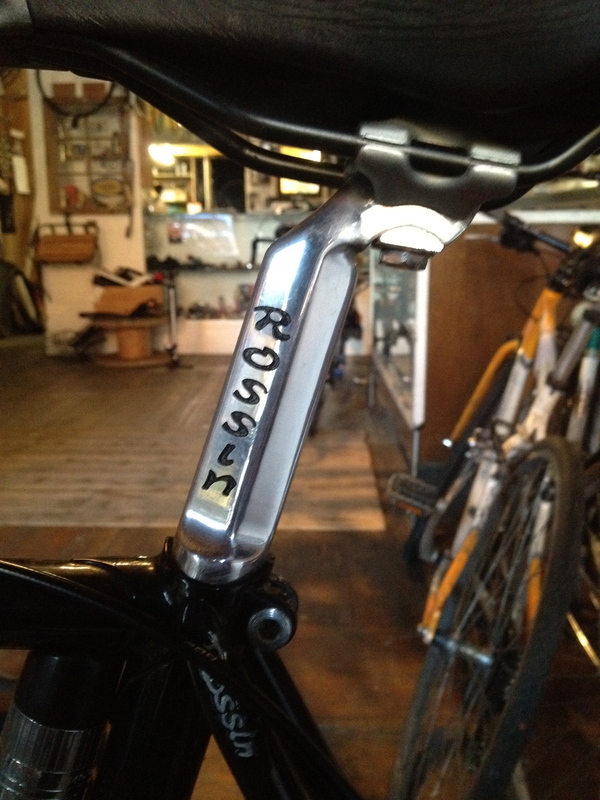 We picked up this gorgeous 62cm De Rosa yesterday which will be cleaned up and put together with a 10 speed Athena group for our good buddy Lenny Grinder. 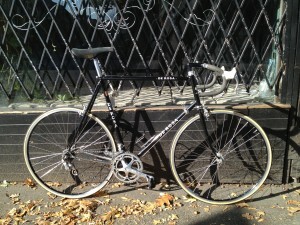 The group is destined for a ’79 Colnago export. Woohoo! 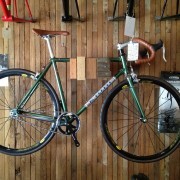 The fine folks at Kona have an office down the street from us and not long ago they brought by two of their steel steeds to hang out in our shop. 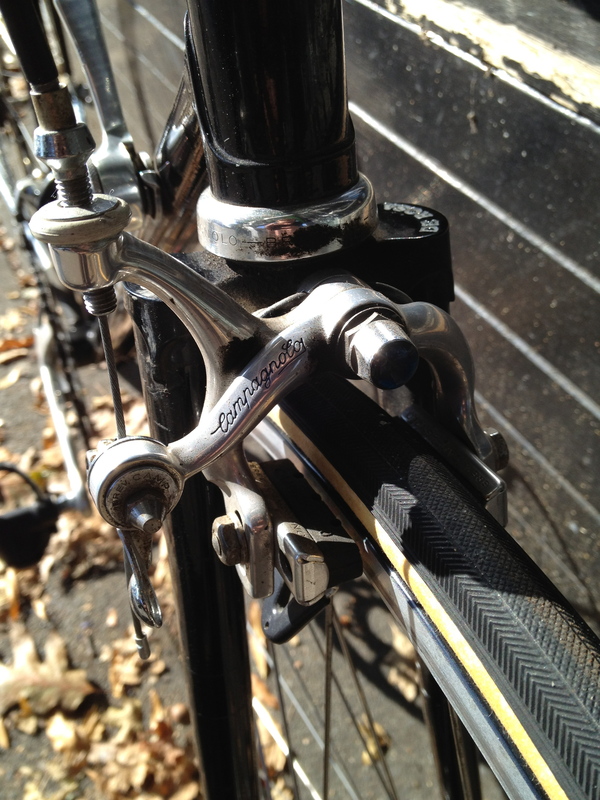 We have a 52cm Kapu with a 10 spd Ultegra group on it. 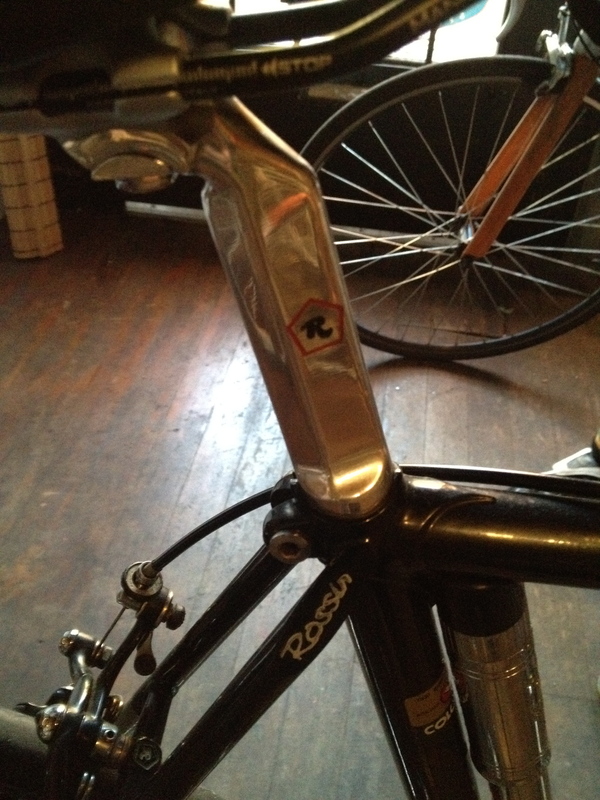 Looks really nice with some nice touches like chromed lugs. 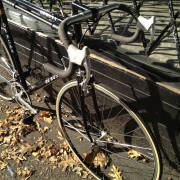 Also up for grabs is a 54cm Grand Wagon. 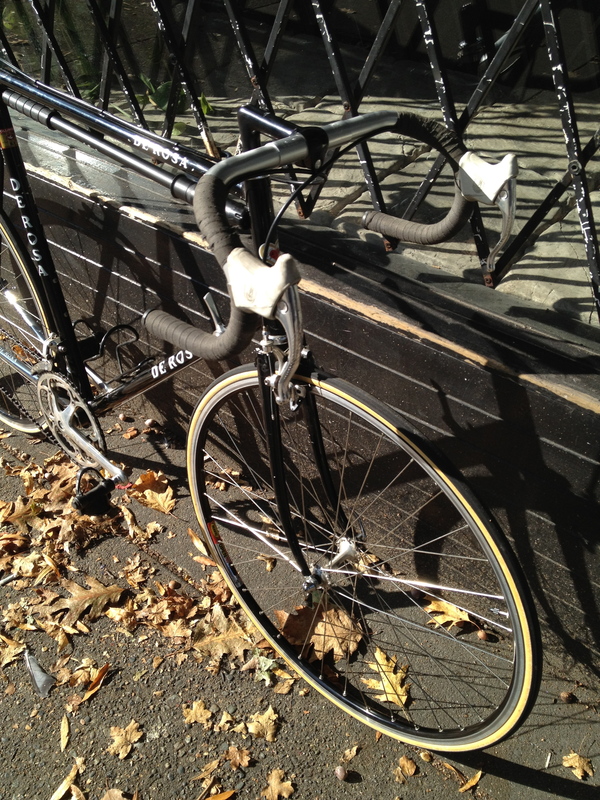 This thing has a great setup with Mavic Ellipses and a pair of Sugino 75′s on it. Both are going for a steal at $1500. 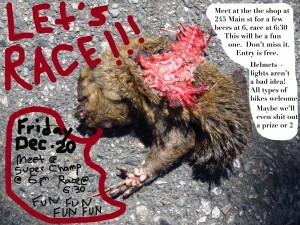 Come and check em out.